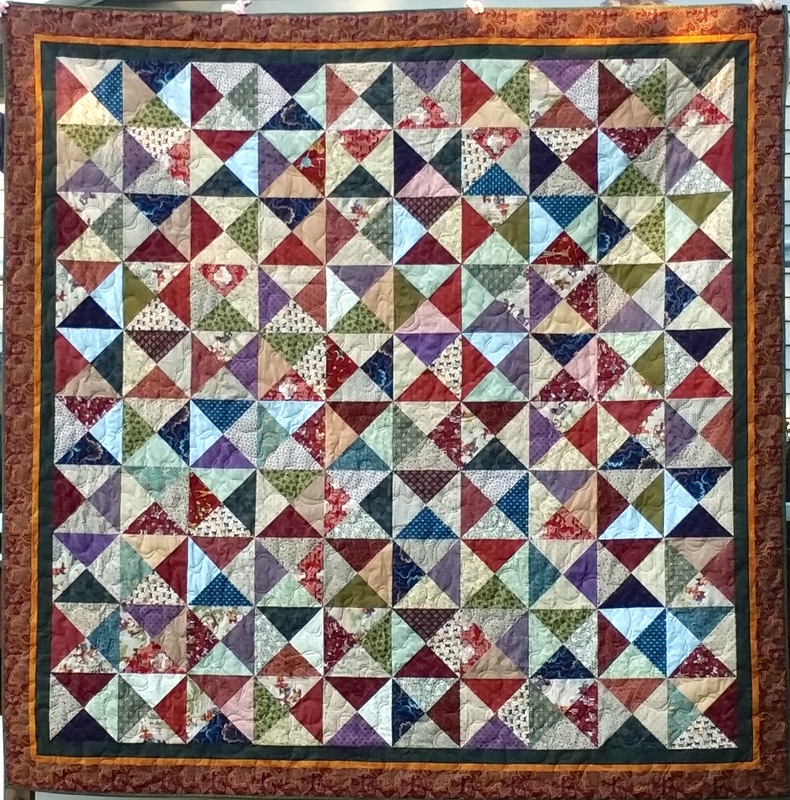 In the last few years I’ve made a lot of quilts. Many of them are medallions and are shown in the Medallions Gallery. 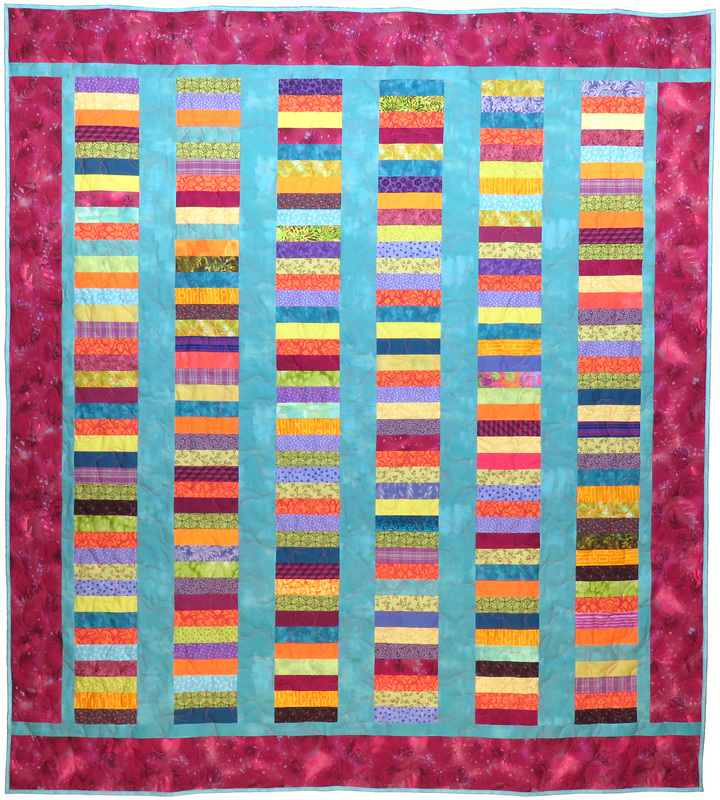 This page shows some of my favorite strip and block quilts. The most recent are at the top. More Precious Than Diamonds. 2016. Photo by Jim Ruebush. Stars for Nora. 2016. Photo by Jim Ruebush. Still Climbing Mountains. 2016. Photo by Jim Ruebush. If I Had A Nickel. 2016. Photo by Jim Ruebush. Hourglasses for my brother. 2015. Photo by Jim Ruebush. 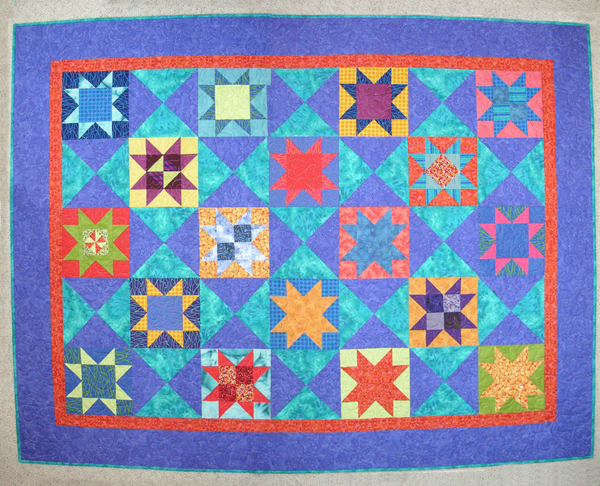 Disappearing Nine-Patch graduation gift for eldest granddaughter. 2015. Photo by Jim Ruebush. Genes and A Cute Top. 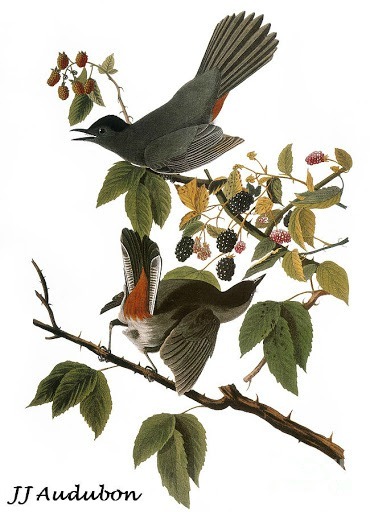 45″ x 60″. Finished May 2014. 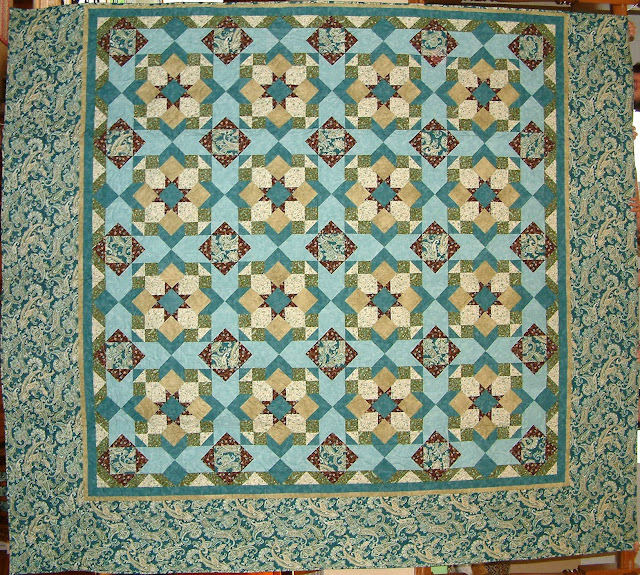 Lap quilt using 6″ churndash blocks made in 2013. Finished January 2014. 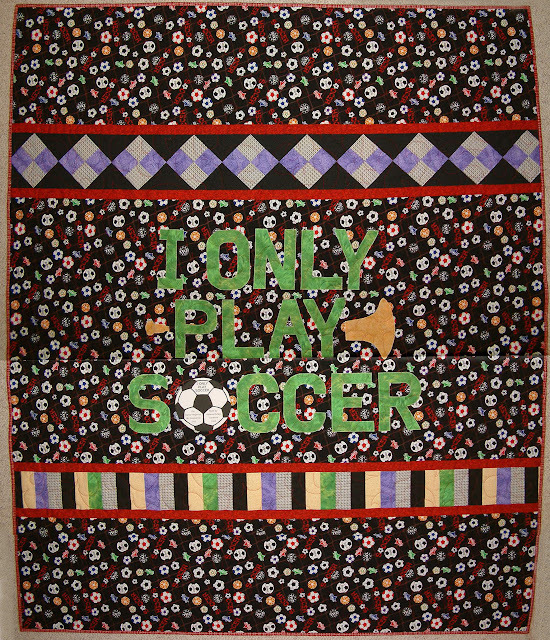 Quilt is about 51″x40″. 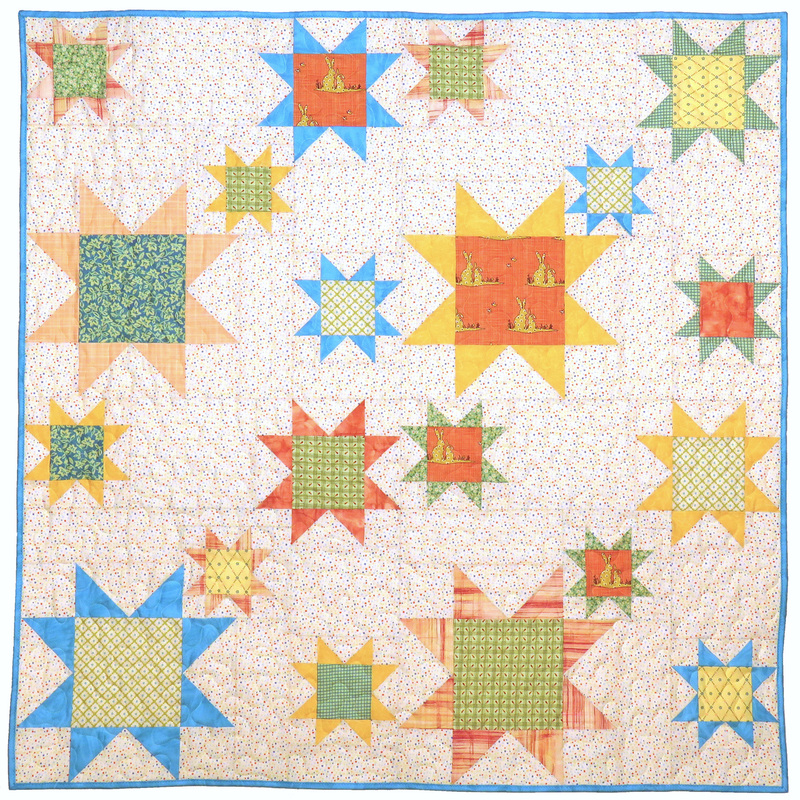 A comfort quilt for a friend — which also raised funds for a food organization! 2013. 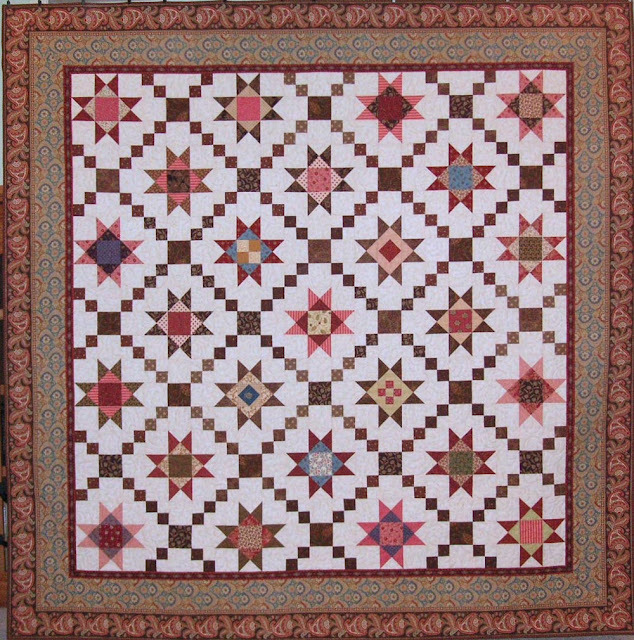 The commissioning quilt for Son’s friend Steve. 2013. 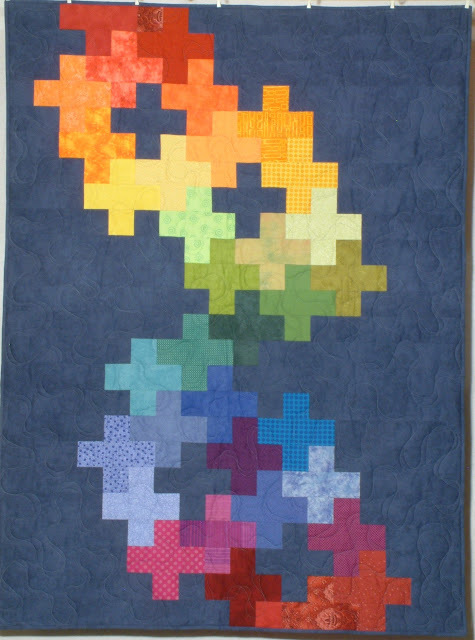 Son’s graduation quilt, B.S. in Mechanical Engineering, with Honors. 81″ square. 2012. Made with my sister for a brother and his bride. 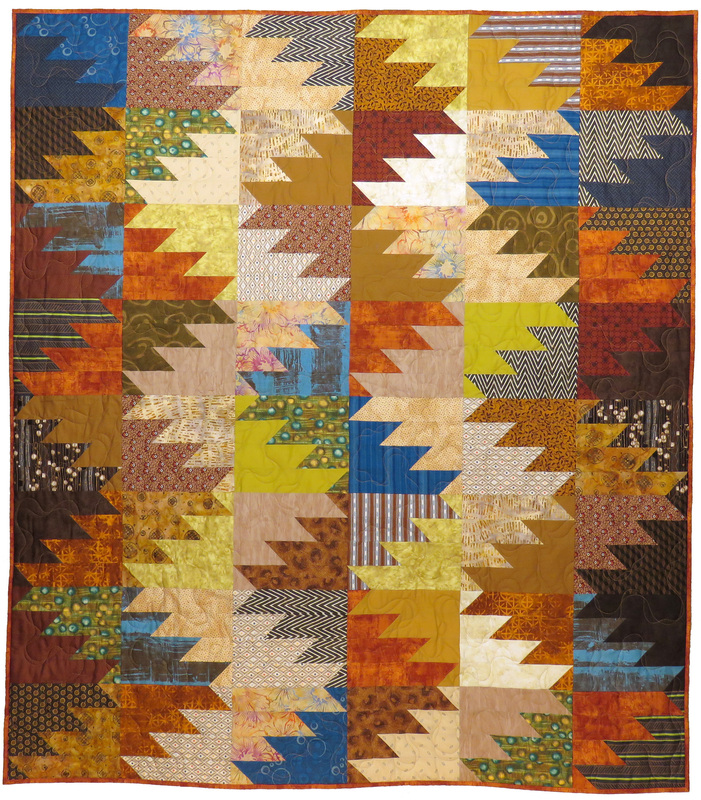 Bed quilt. 2012. 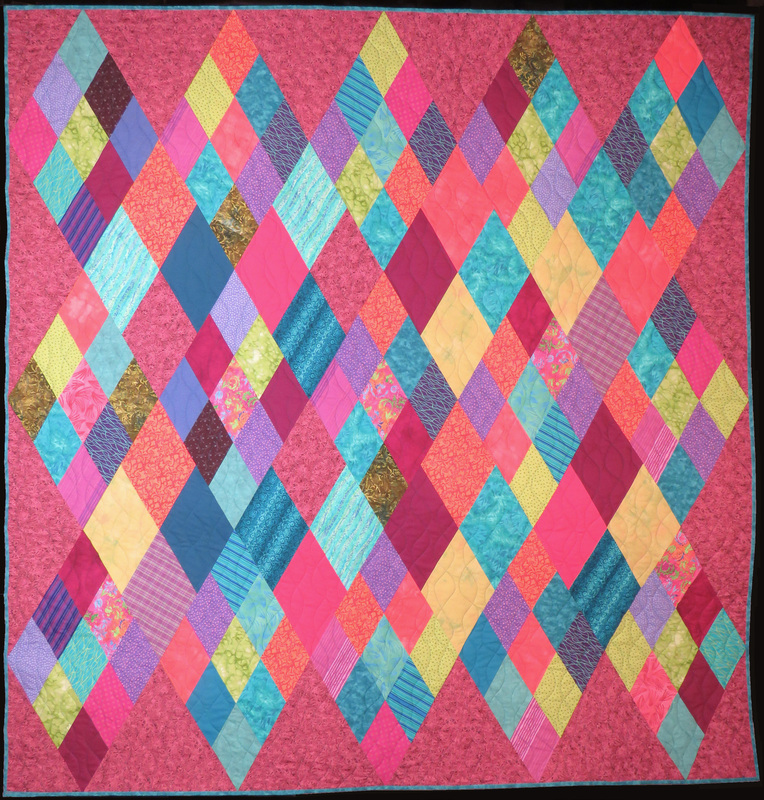 Sibling quilt #8. 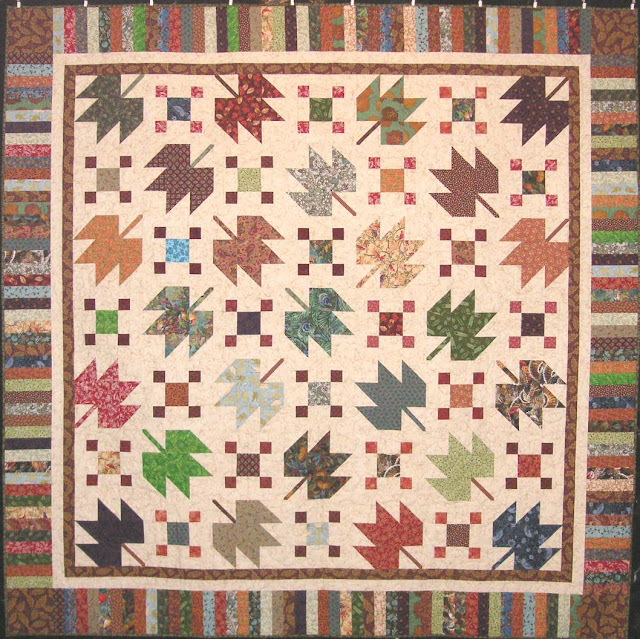 Lap quilt, 55″ square. 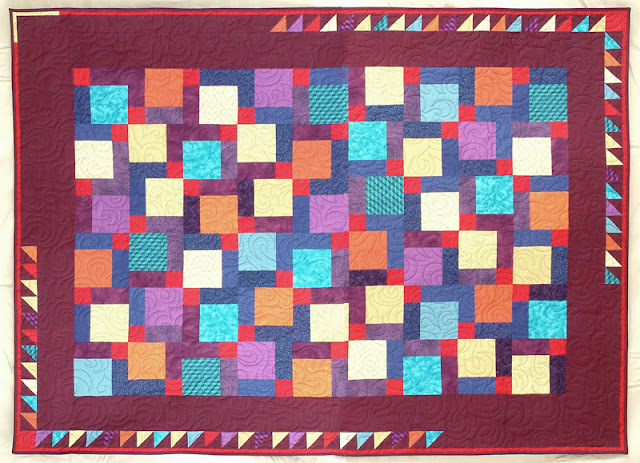 Sibling quilt #9. 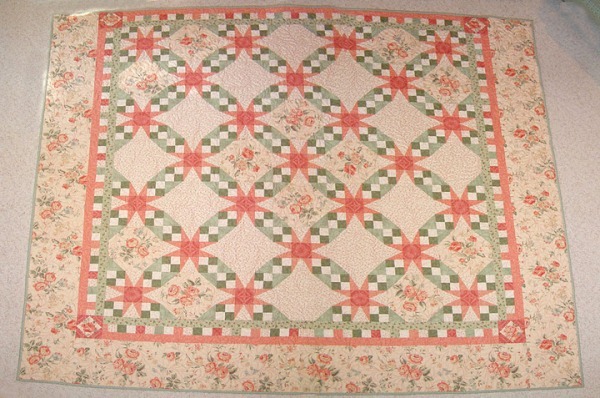 Lap quilt, 47″ x 62″. Broken pains. It hangs on the wall in my studio. This is actually the BACK of Dan’s graduation quilt. (Dan is not our son, but a favorite friend.) 2010. King-sized Tennessee Waltz made for our daughter and son-in-law. King-sized quilt for our other daughter (and her ex-husband). 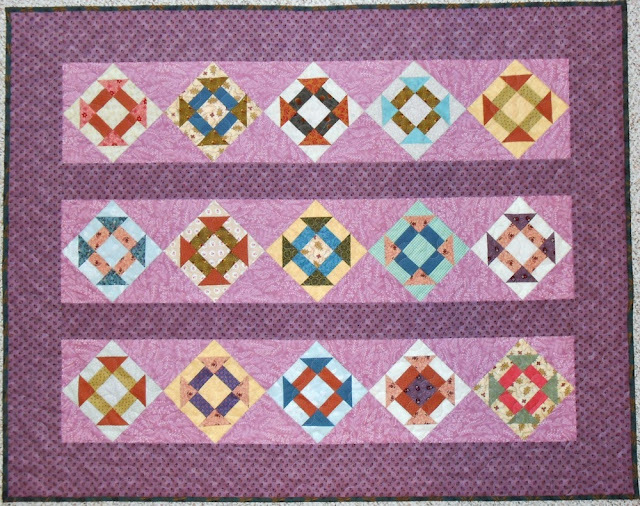 My original design, including the block design. 2010. 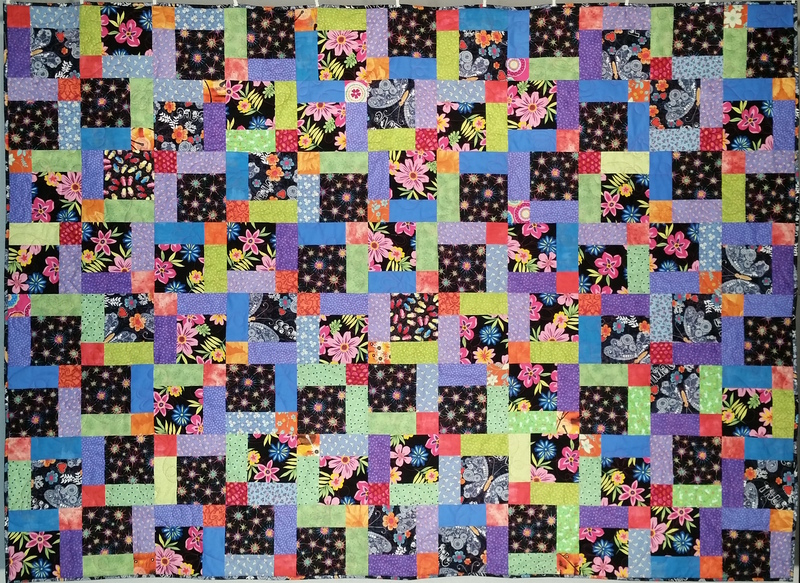 Large lap quilt for a dear friend. 2011.